I hope you all had a beautiful week and that you are enjoying your weekend! 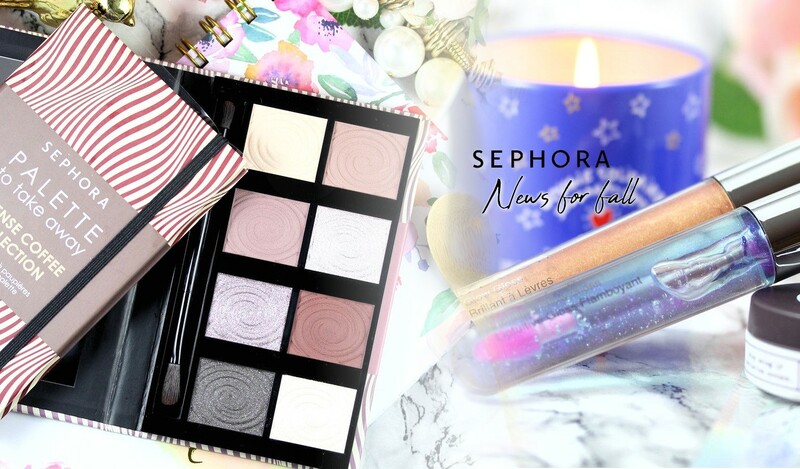 Today I have a very long article with many new products from Sephora that was recently released. So let's start directly! So I start with the products from the brand Sephora itself. 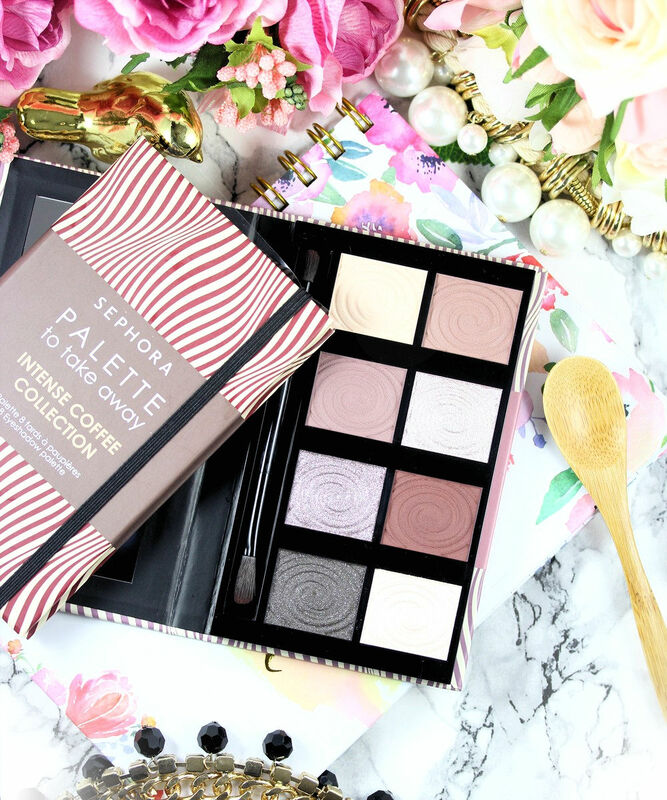 I've had the chance to try some of their new palettes and honestly I'm more than impressed. The shadows of the 3 palettes shown below have a beautiful texture. 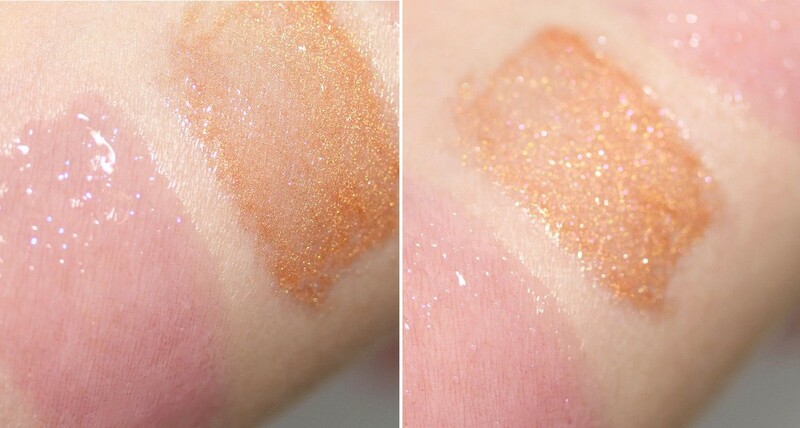 The shadows are pigmented, buttery, super easy to blend without being patchy. Importantly they don't loose their colors and pigments when you blend them and don't get muddy. The first 2 palettes are created around the theme of coffee. That's a perfect theme for everyday looks in my opinion. 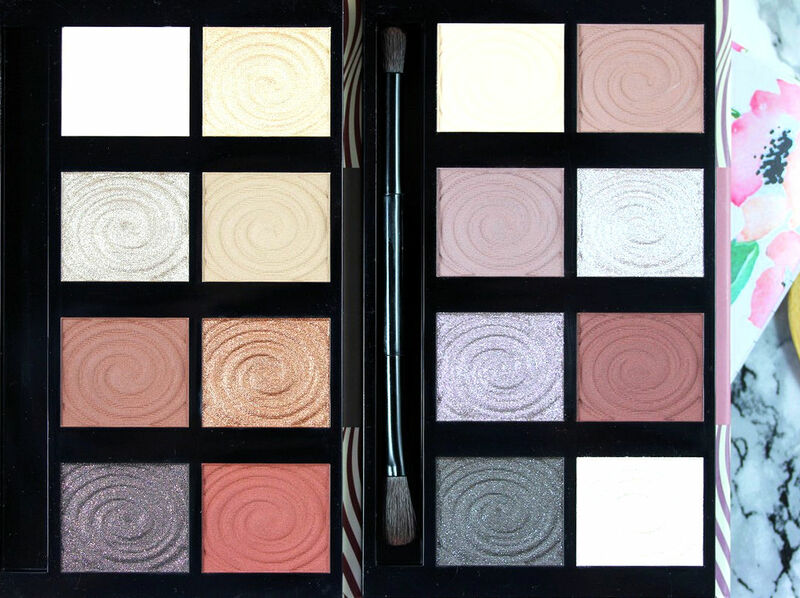 Each palette comes with 8 shadows containing a mix of matte and shimmer and some more glittery shades. There is also a mirror and a brush (brush is not really useable). 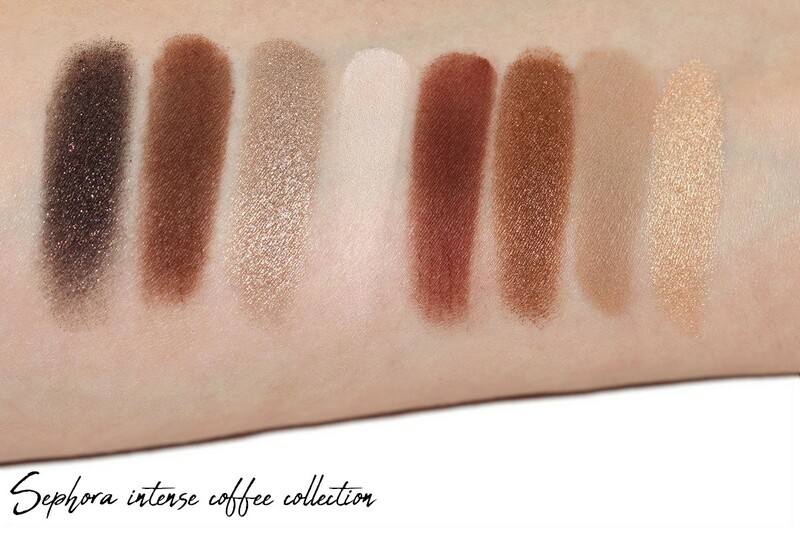 The Spice Latte version has a more cool tone vibe while the Intense Coffee version has more matte shades. As I said the formula of the shadows is super nice, it's buttery and super easy to blend. I find them to be on the creamy side and not dry. 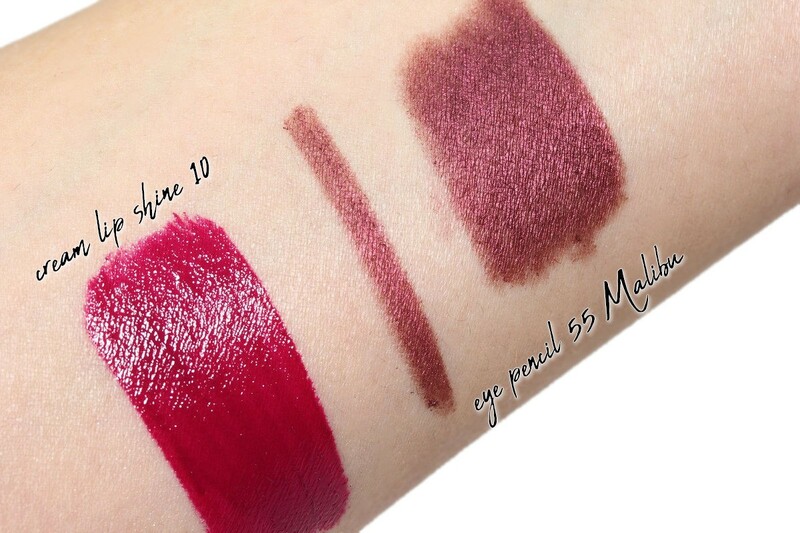 They swatch well with the fingers but importantly they also work great with brushes. I had a tiny amount of fall out with some of the matte but this is really minimal. So overall these are perfect everyday palettes that also work great to create deeper looks for the evening. They are very versatile and you cannot go wrong with them. Highly recommended! 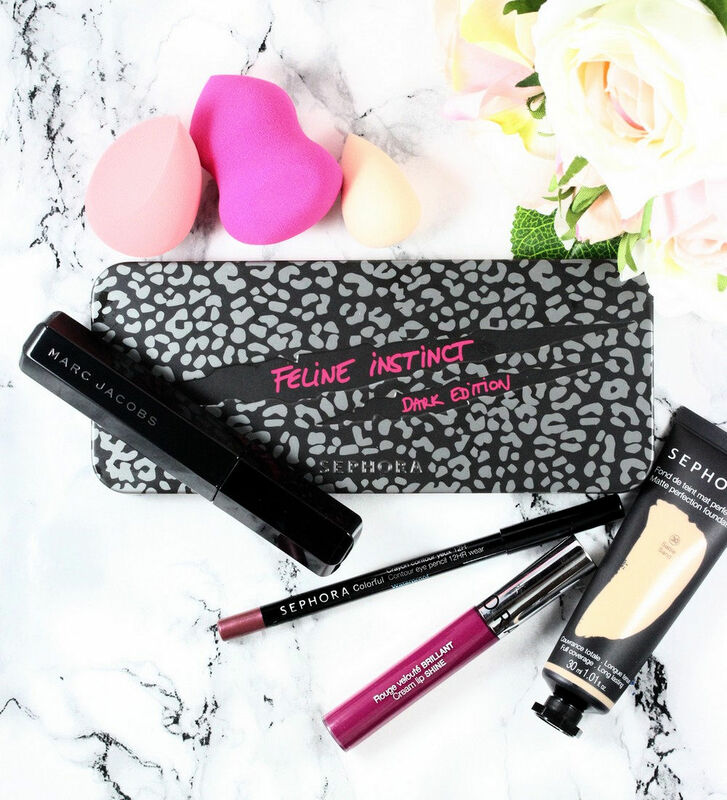 The 3rd palette is the Feline Instinct in Dark edition. There is a gold edition as well if you're more into gold and soft shades. 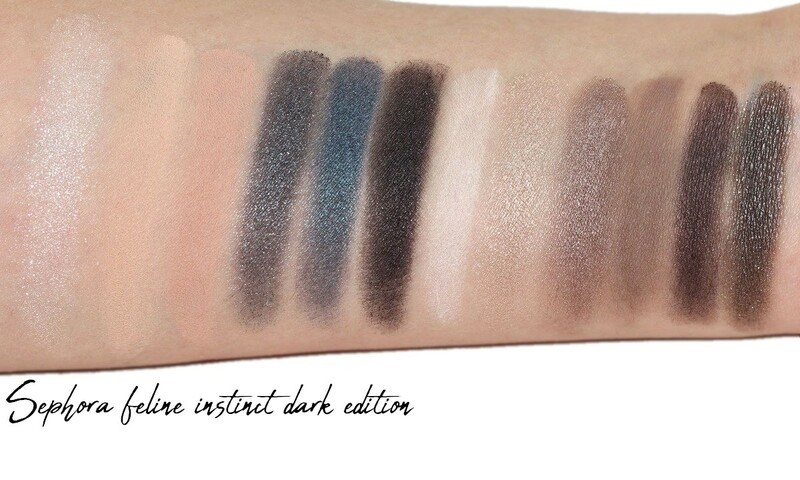 The Dark edition comes with 12 shadows, some matte and some shimmery ones. The overall look of the palette is more cool tones with some deeper and "darker" shades. It comes with a large mirror, a brush (not very useable brush) and a sponge. 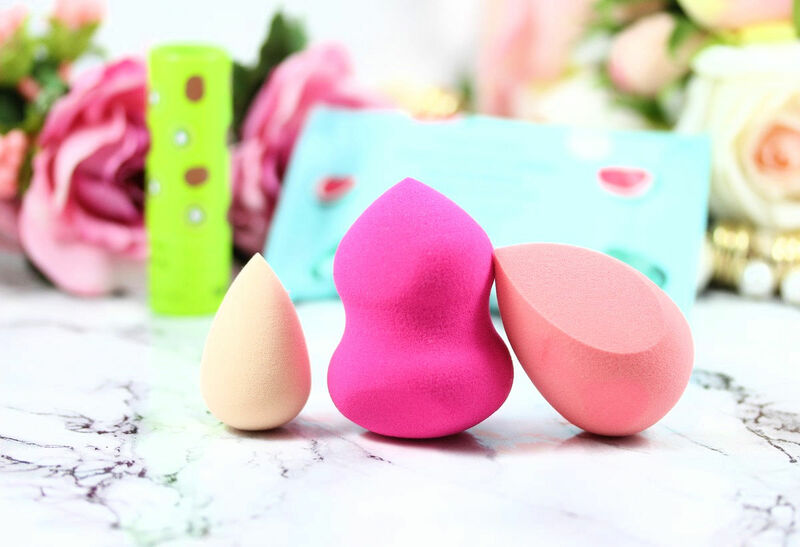 The sponge is particularly interesting because it allows you to wipe your brush after using a shadow to clean it (it wipes off any left pigment). The brush is then ready to be dipped in the next color. 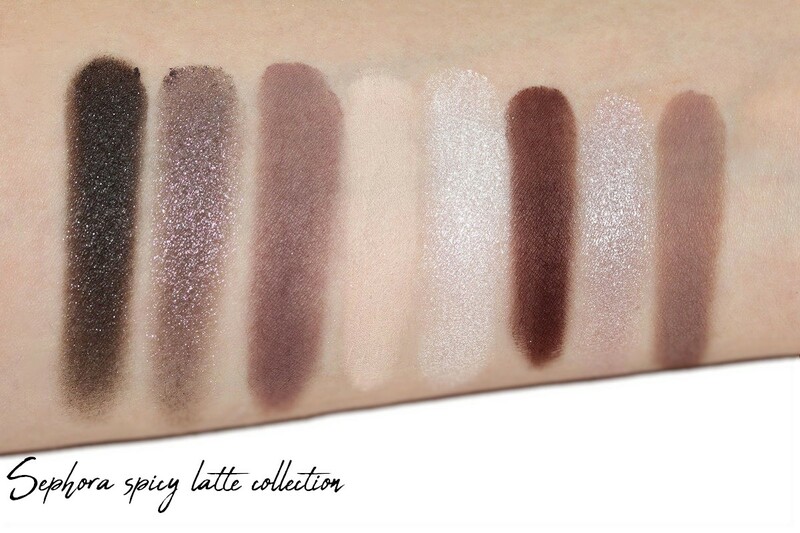 Overall this is another very nice palette with a beautiful formula. I haven't tried many Sephora palettes before but I had the impression that the shadows were more dry and not that pigmented. Here these 3 palettes are completely different and again, the quality of the shadows is really perfect to me. Then I have finally tried the Cream Lip Shines from Sephora and I love them, at least color #10 which is the one I've tried. It stays on the lips very well (~5h) and gives a beautiful glossy look with a nicely pigmented and opaque color. I love! 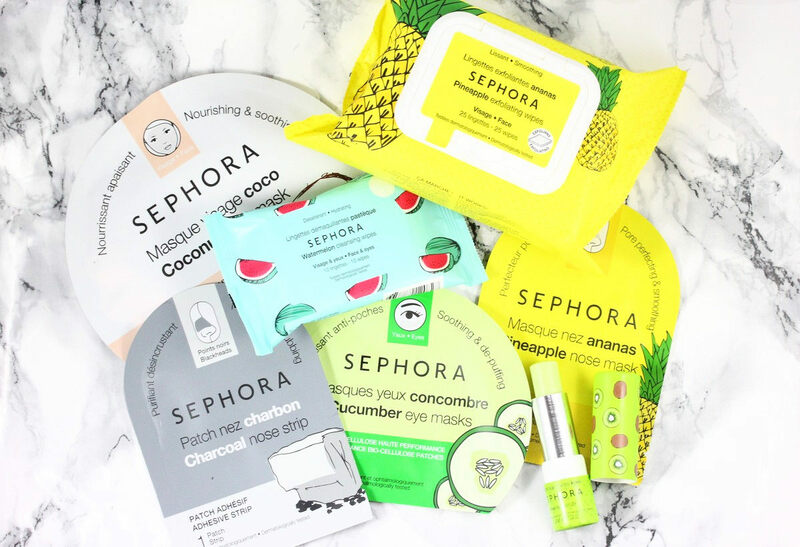 Then I have a couple of Sephora sheet masks and wipes. The sheet masks, I find them very nice in terms of performance, i.e. they bring a good dose of hydration and leave the skin soft, supple and nicely hydrated. In terms of ingredients, they're OK but not too special. That said, the cucumber eye mask is more interesting as it contains aloe (soothing) and niacinamide (brightening) in a good amount in addition to humectants. Would I recommend them? Yes, although I don't think they're best sheet masks in the world, they do the job very well and are pleasant to use. 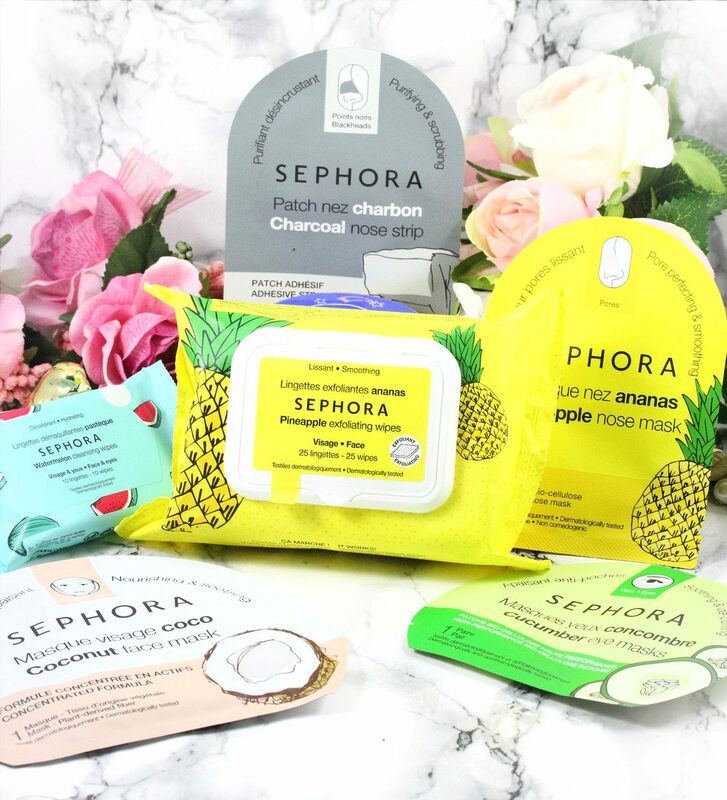 It's the first time I've tried the makeup removing wipes from Sephora and I like the scent of them! I've tried so far the Watermelon cleasing wipes for face and eyes and the scent of watermelon is really nice and it leaves the skin fresh. I used them mainly to clean up/define my eye makeup (to make a stright line of shadows in the outer corner). I also got the pineapple exfoliating wipes but I haven't opened them yet. They have one side for exfoliation and one smooth side to cleanse the skin and remove makeup. 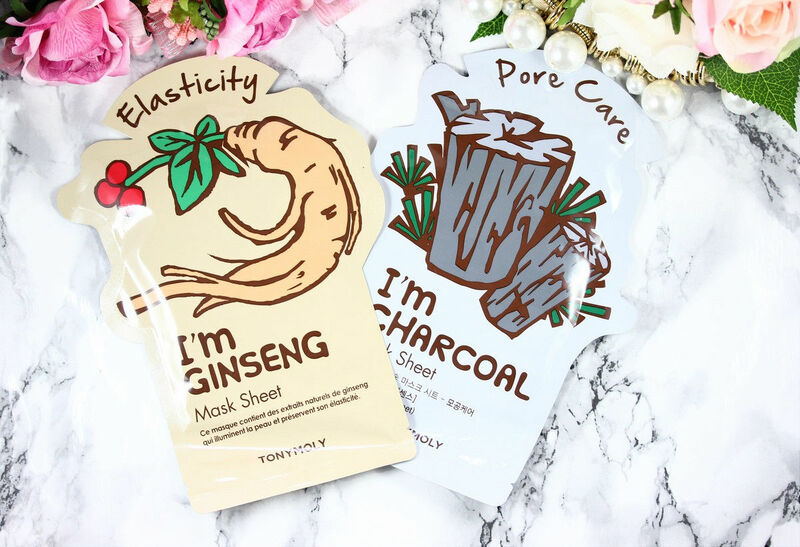 In terms of sheet masks, Tony Moly has 2 new versions of their famous "I'm real" sheet masks. 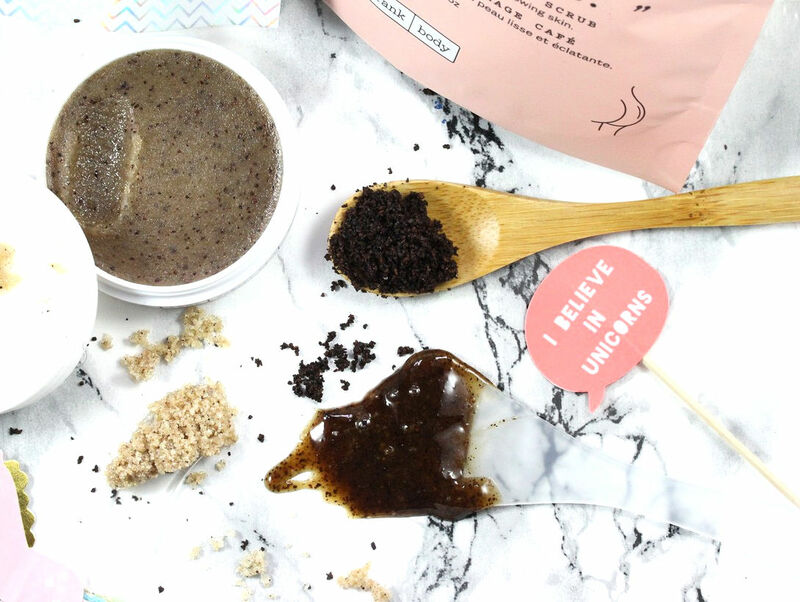 the I'm Charcoal and I'm Ginseng mask. Do I need to say that I'm crazily excited about the I'm Ginseng mask?...I love ginseng...like crazy...I love everything about ginseng: its properties, power, scent...yes I love ginseng. So the I'm Ginseng mask does contain an extract of ginseng root in a non negligible amount (that's a good point) and also honey, sodium hyaluronate, hydrolyzed collagen and allantoin and panthenol. This makes a very interesting antioxidant, hydraing and soothing mask!! 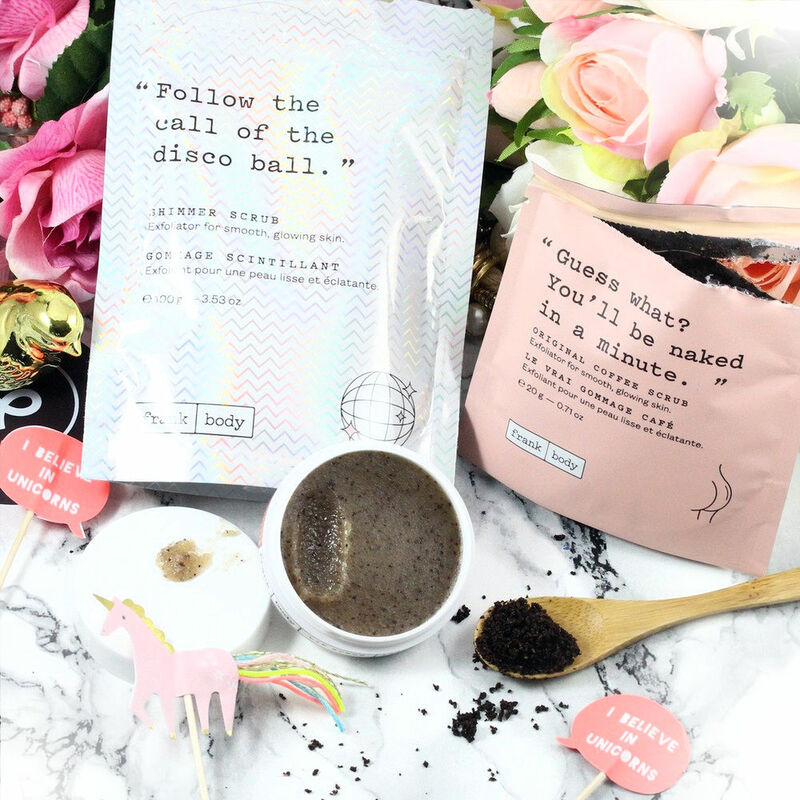 The Charcoal version contains charcoal powder instead of ginseng and then also sodium hyaluronate, hydrolyzed collagen and allantoin and panthenol. 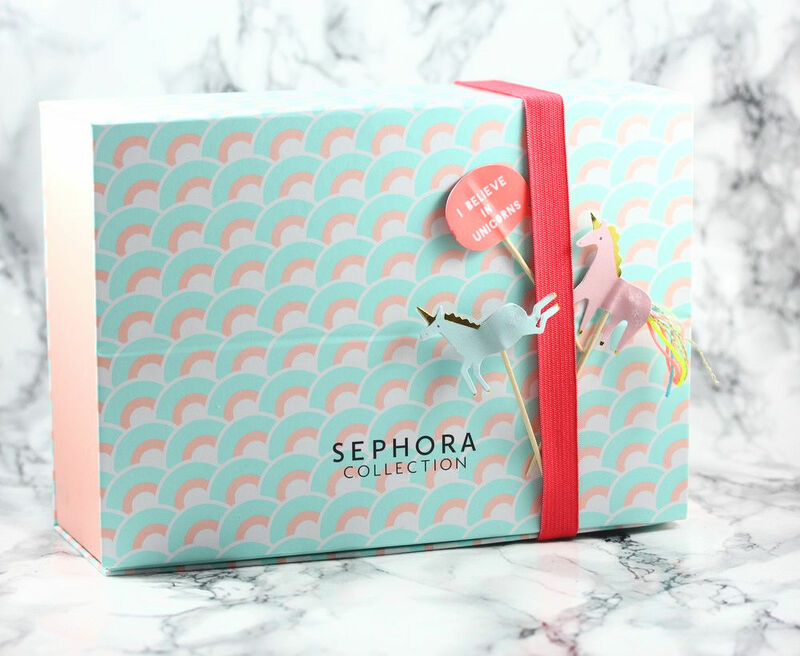 In the Sephora collection I also got a box containing their new shower-body care line. I had already seen these products on the shelves this summer and have actually bought myself 2 of their shower gels. I love the packaging, I find it unique and fun! and the scents are also bomb! These shower gels are really nice and I can highly recommend them! In the box was also a moisturizing body milk in the scent "Pillow Battle". The scent is a bit hard to describe but it's a clean, fresh and sweet scent. It has a gel cream texture and is immediately absorbed without leaving any residues on the skin. That's the type of body moisturizers I really like because it's fresh with a nice scent and it comes in a convenient packaging (a pump!). Finally the 3rd product is an exfoliating body granita. It also has a super fresh but more summery scent, a real beach scent to me! The texture is a gelly with exfoliating particles. These particles are actually volcanic sand! They don't feel harsh but rather provide a gentle yet effective exfoliation. I think these products are a great idea for gifts! Everyone could enjoy them and they look super pretty! 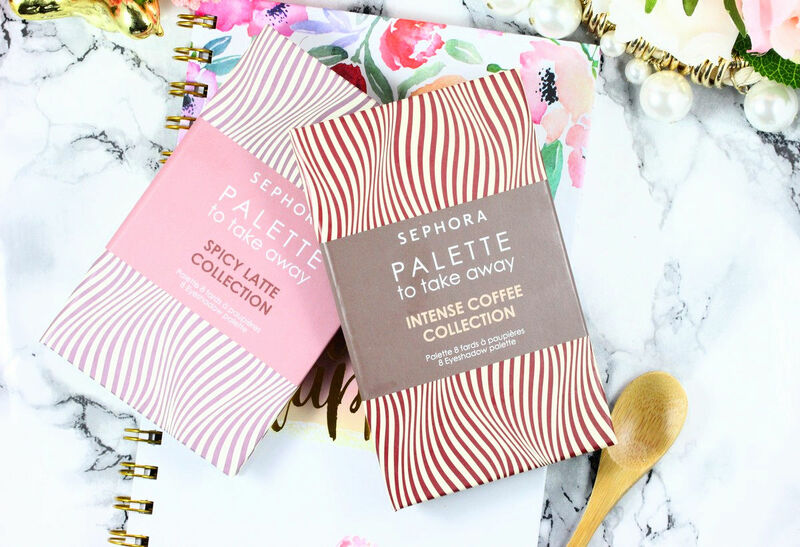 I talked about coffee-inspired palettes previously and there is more coffee-based products to come. 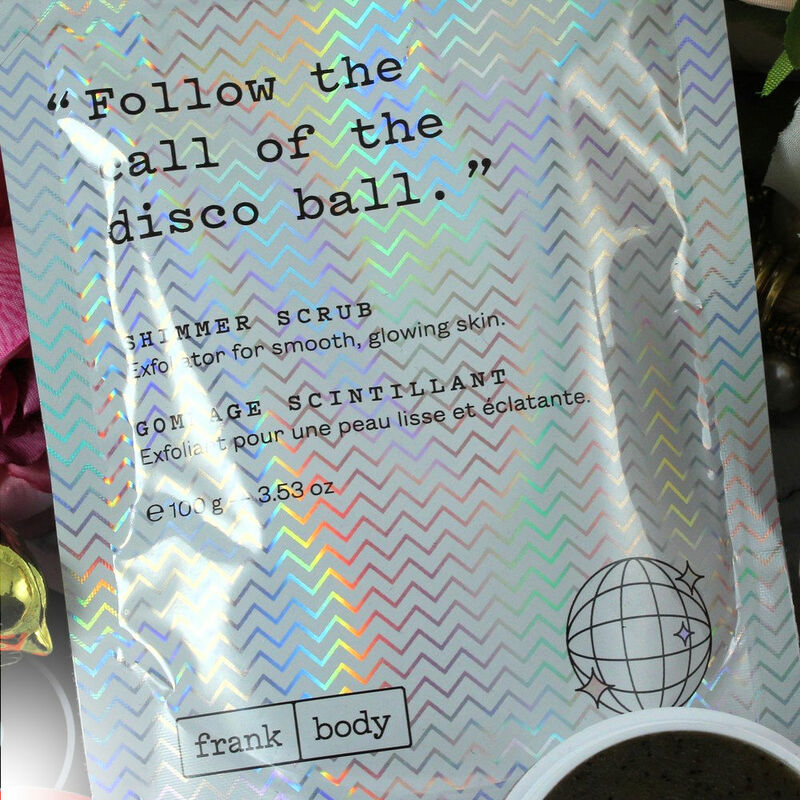 Since a few months, the Australian brand Frank Body is avaible at Sephora Switzerland. This brand is very famous on Instagram and I was really curious to try it. They make scrubs based on coffee (I love the smell of coffee). They have an original version that has indeed a quite strong but delicious coffee scent. It's made with coffee powder (1st ingredient) and sweet almond oil as the 2 main ingredients. Recently they've launched a shimmer scrub. The performances are similar with the orginal version but here the scent is more of a coffee latte scent while the original is more a strong espresso scent. This version also leaves some shimmer on your skin. The left shimmer is rather subtle, no large glitters left or something too crazy. First ingredient here is grape seed oil followed by sodium chloride, mica and then coffee. Overall I'm rather impressed with these scrubs. I love the coffee scent (either coffee latte or strong espresso), I think they're nicely formulated and feel overall nice on the skin. The only con is the packaging that is not practical. The 3rd product is a lip scrub with again a delicious coffee scent, a coffee latte or macchiato kind of scent. It's formulated with sugar, bee wax, coffee, and macadamia seed oil. What I like is that it also feels moisturizing, I can feel the oil in it (not an oily mess but rather a skincare type of feeling). On this product I love the slim packaging. Among the 3 products, I love the body scrubs but I think I love the lip scrub even more. The lip scrub is something I would recommend to everyone! 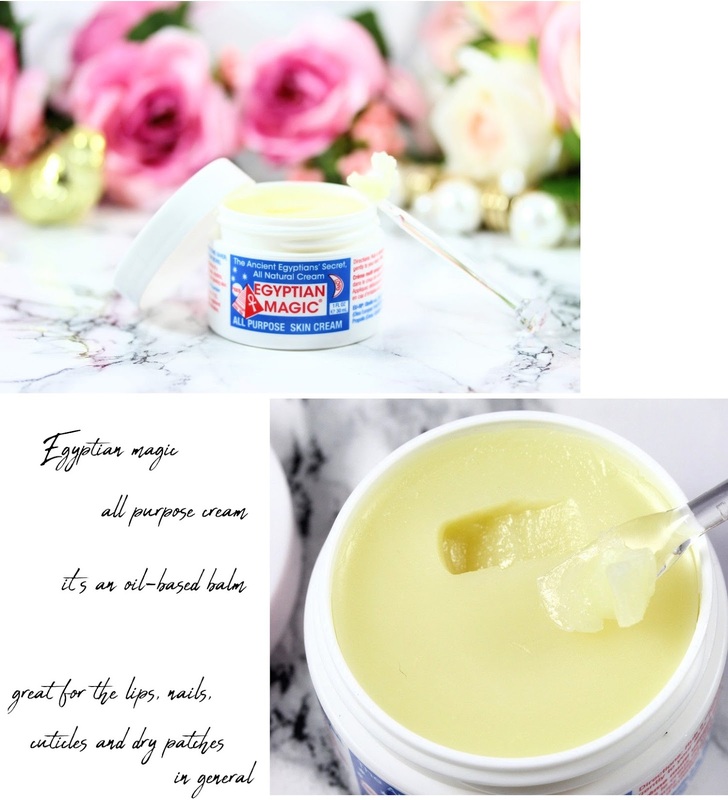 Egyptian Magic All Purpose Skin Cream! I think we've all already seen this product somewhere, it's super famous! It's actually an oi-based balm that is just amazing to nourrish and condition the lips, nails, cuticles and basically any dry patches you may have! I also sometimes use it as a very thin layer on my cheeks and whole face as a last step in my evening skincare routine just before going to bed. The ingredient list is rather short: olive oil, bee wax, honey, bee pollen, royal jelly, propolis and that's all! I knew the product but never really took a deeper look at it. And honestly I'm impressed at the ingredient list, super short, lots of effective and natural ingredients, I mean...wow! And it works so well to moisturize dry patches!! A must-have (unless you're allergic to bees)! Dr Jart Ceramidin cream. This cream is really popular and for a good reason. It helps repair and strenghten the skin barrier thanks to ceramides. 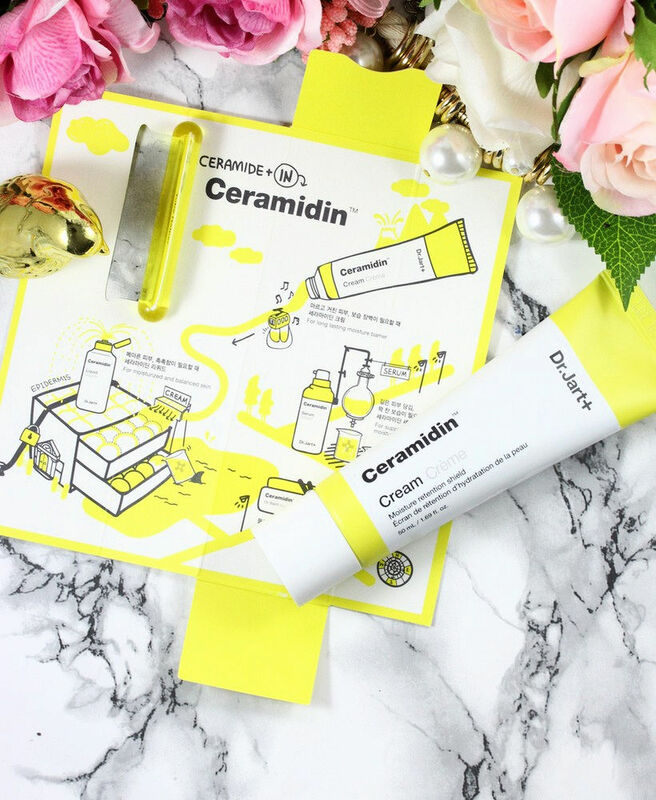 The Ceramidin line is therefore loved by many people with dehydrated skin, skin with irritation or if you need to strenghten your skin barrier in general. Recently the whole range has changed its packaging but I think the ingredients and formula remain the same. I am using at the moment this cream (previous packaging) and I like it because although it's a cream (and not a gel cream) it doesn't feel heavy on the skin but still provides a good amount of moisture. I won't go too much into details because otherwise this article will be endless but if you want to know more about it, just ask me. Last but not least, some Becca products! I got 2 lip glosses and a loose powder. The loose powder is the Hydra-Mist Set & Refresh Powder. 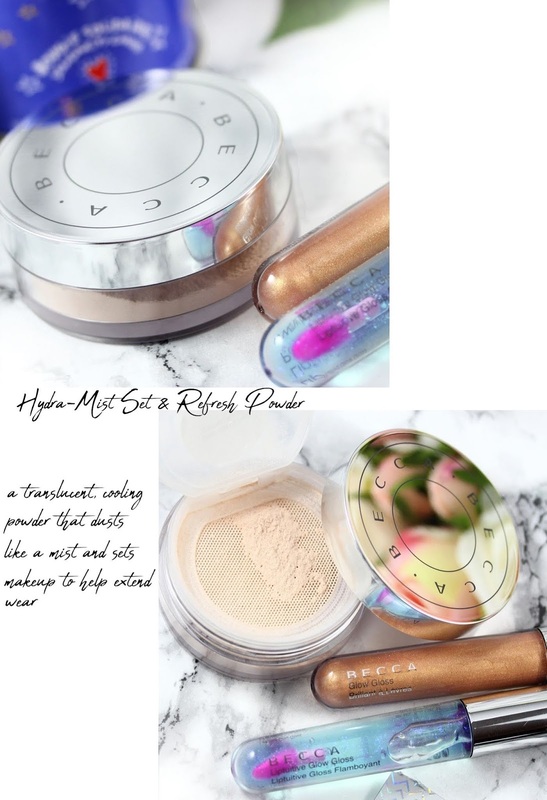 It's a transluscent and cooling powder that dusts like a must and sets makeup to help extend wear. It reminds me of MAC Magically Cool Liquid Powder. When you apply it, it feels wet! I really like the idea of it as it feels fresher on the skin and I like the overall application. I use it to set my under eye area and then use a small amount on my T-zone. I like how it leaves the skin velvety and not cakey. In that sense it mattifies but not too much to the point it dries you out. I like it, a lot! The first gloss is called Citrine. It's a flattering coppery shade with pink shimmer. 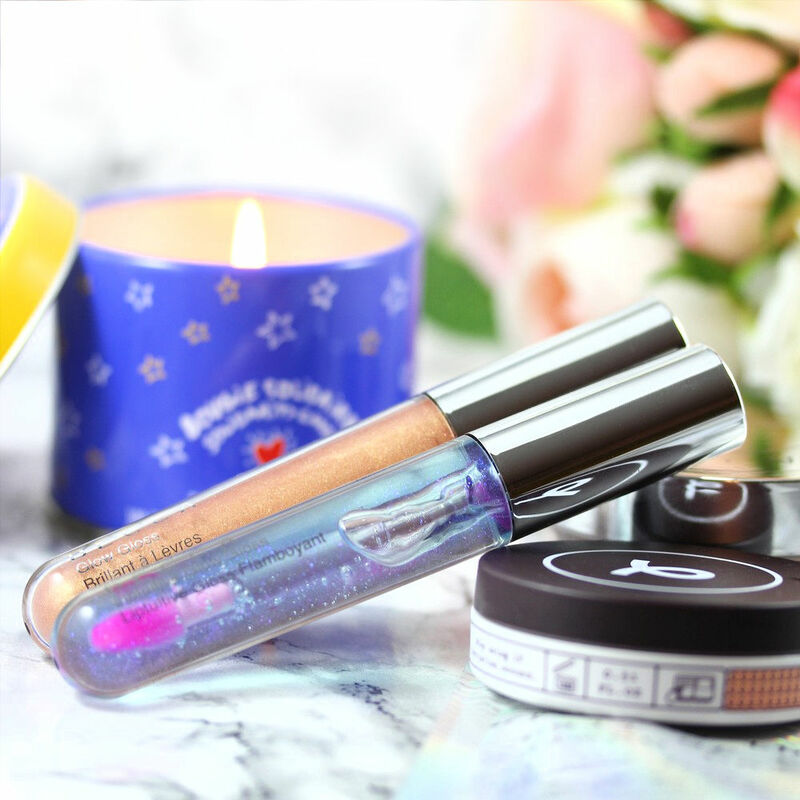 The other one is the Liptuitive Glow gloss, a formula that reacts to your lips to add a subtle pink glow with blue shimmer. I need to check more glosses from Beccas as I really like the formula! 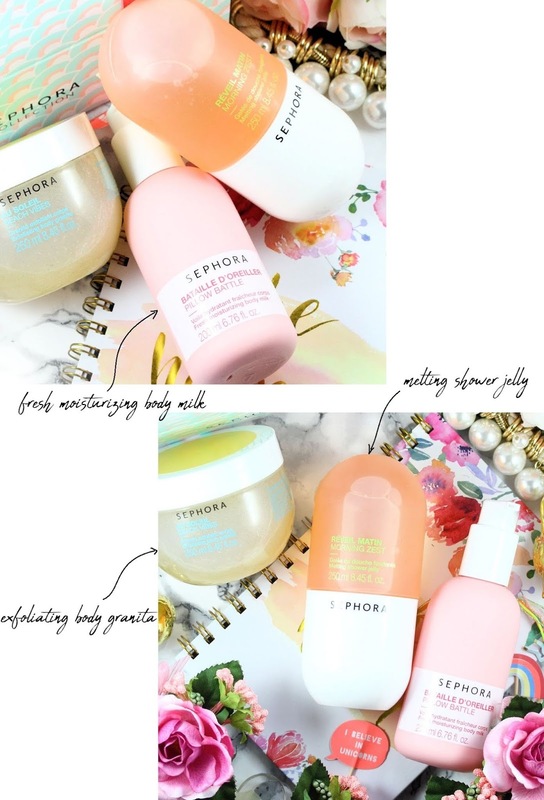 If had to pick just a few of them it would be: the Spicy Latte Collection palette, the Sephora body and shower products, the Frank Body lip scrub, the Sephora lip shine, the Egyptian cream, and the Beca Hydra-Mist Set & Refresh Powder! :D Do you have a favorite or something you would like to try?